There have been enough missing-child thrillers over the years to categorize them as a sub-genre. Usually, they involve an abduction, suspects and an official investigation of some sort, while worried parents or guardians are left to feel helpless or take matters into their own hands. 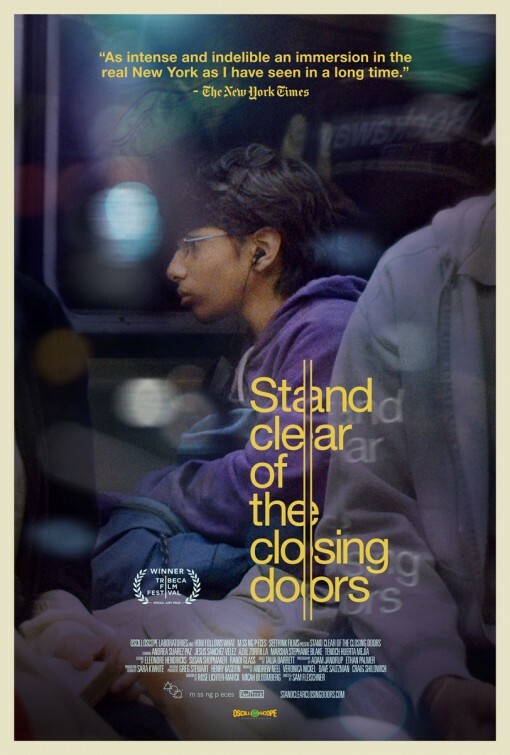 However, director Sam Fleischner’s powerful new film “Stand Clear of the Closing Doors” involves none of those conventions. He instead relies heavily on the building emotions in the aftermath of a child’s disappearance and the sound and vision from the perspective of the missing child. It’s a refreshingly interesting approach to a familiar subgenre, leaving the audience with several memorable moments and causing them to notice life in a different way. Mariana (Andrea Suarez Paz) is a Mexican immigrant living in Rockaway Beach, Queens just outside of New York City with her two teenage children. She spends her days cleaning the homes of affluent people, expecting her sixteen year-old daughter, Carla (Azul Zorilla) to help out with her thirteen year-old autistic son, Ricky (Jesus Sanchez-Velez), by walking him home from school and just making sure he doesn’t harm himself. Ricky doesn’t like the medicine his mother makes him take and has difficulty maintaining interest at school. He’s often lost in drawing as an avenue for his thoughts and a way to express himself. One day, Carla decides to spend time with her friend after school, rather than guide Ricky home. He follows a stranger onto an elevated train after being lured by the dragon design on the back of his denim jacket and soon becomes engrossed in the sights and sounds of the subway system, lost in a world that offers constant stimulus. Carla tells her mother that Ricky is thirteen and can decide on his own when and how he’ll get home. Mariana instantly loses it and is stricken with panic as she embarks on figuring out where her lost son could be without calling the authorities due to her legal status. 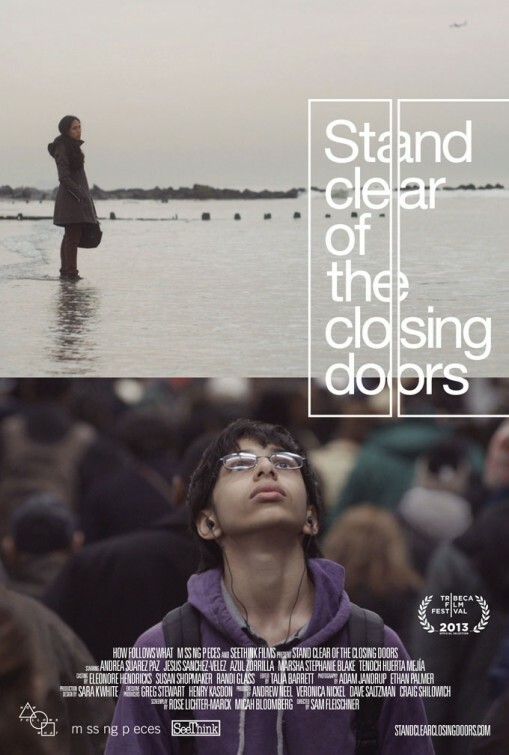 Explaining the synopsis to someone, “Stand Clear” would easily sound like a typical “parents worst nightmare” type film. That is obvious and present as we witness Mariana’s desperation, but there’s much more going on here as Fleishner goes back and forth from the plight of the parent to the journey of a child lost in his own world. Avoiding any histrionics and melodrama, the film follows Mariana as she continues to work (out of necessity) as her son is missing, while we watch as a seeming catatonic Ricky endures both his own incontinence and ridicule while sitting in various train cars. There is a real sense of wonder in regards to how this is all going to play out, since we’re really not sure how Ricky’s mind works and what the limited Mariana can actually do. Does he know he’s lost? Does he have any sense where his home is? Does he know how to communicate with authorities in such a situation or has his mother told him not to? Can contacting the police send Mariana and her family back to Mexico? These are all questions I found myself asking as the story progressed. They’re natural questions that anyone would ask, but they’re also questions that Fleishner lets us arrive at on our own. At no point does he or screenwriters, Micah Bloomberg and Rose Lichter-Marack, hit us over the head with a “how we should feel” narrative we’re so often subjected to in a film like this. Instead, Fleishner’s verite approach relies on the heightening emotions and evolving atmosphere to give us a connection to Mariana’s plight and involve us in the observations of the city through an autistic lens. His years as a cinematographer serve the film well, relying heavily on visuals and less on talking heads. Ricky survives for days on the transit system on water, chips and a banana handout from a homeless man, as he is accepted into a subculture that civilization disregards. Although our worry for him lessens as the film progresses, our concern is still there as we wonder how (and if) the boy will ever get home. Our worry increases for Mariana though. She’s someone we can relate to more. As much as she has worked to do everything she can to provide for her children, it just takes one time for something like this to happen for all that to come crashing down all around her. Mariana resents her estranged husband/Ricky’s father, Ricardo Sr. (Tenoch Huerta), who is predominately absent throughout the picture. But when he does turn up, he does what he can to help despite the understandably resentful Mariana. By actually making the father an active participant in the pursuit of his son (when we thought he would be literally out of the picture), instead of a characterizing him as a deadbeat derelict, “Stand Clear” avoids stereotypes and gives us an added layer to the character of Mariana. Sure, her sole concern right now is finding her lost son, but she is also completely furious with her daughter and frustrated with her husband. Before the father shows up, Mariana does find assistance in the form of the helpful Carmen (a warm Marsha Stephanie Black) who manages the local sneaker shop where Ricky frequents, enamored by all the colors and patterns of the shoes. Still, Mariana carries the weight of the film and Paz is most impressive as she conveys an anxious fragility that’s about to crack a tough exterior. The strength of her performance relies heavily on her soulful expressions and body language. It’s hard to see her continuously scour the shoreline of the nearby beach. She, along with the entire cast are relative newcomers, which gives Fleishner such honest and real performances to guide. Sanchez-Velez, who has Asperger’s in real life, is mesmerizing on the screen as Ricky. As we notice him blend into the train environment, he looks like people we see everyday on public transit and we’re reminded that even though so many look familiar, there’s always something going on under the surface. To increase the anxiety of the story, the film is set just days before Superstorm Sandy touches the New York city are in late October 2012. It adds a certain urgency to an already frantic atmosphere. Never does it feel like a gimmick, but rather just one more thing that Mariana and company have to be mindful of, since we know Ricky cannot. In fact, Fleishner has a noticeably delicate yet purposeful handle, allowing the understandable tension to permeate throughout “Stand Clear of the Closing Doors”, making for a unique odyssey and exploration for a distraught mother and her wandering son. It’ll definitely be one of those films I promote heavily through word-of-mouth for years to come.